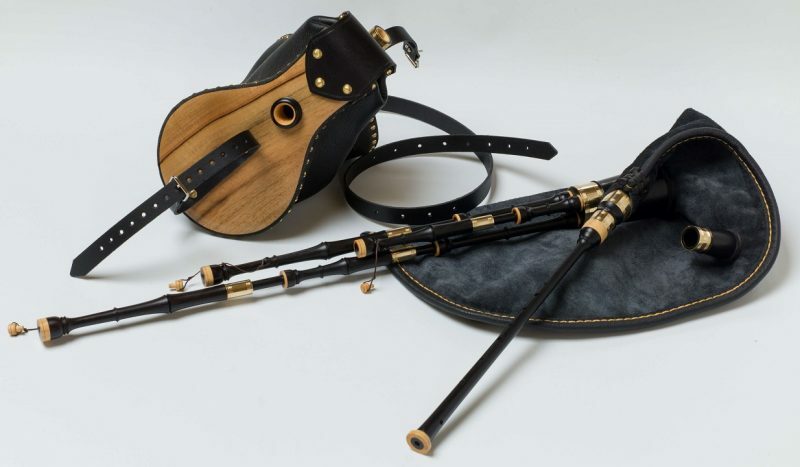 We offer two types of smallpipes; Scottish and Medieval. The difference between the two is the scale of the chanter. In other words, the Scottish scale is Mixolydian, and the Medieval scale is Dorian and also Aeolian with the use of a tuning pin. All notes on the chanter are tuned in relation to the drones (i.e. Just intonation). For an ‘equal tempered’ chanter or other requests (such as C/F natural pins for Scottish chanter or high B key) please contact us. 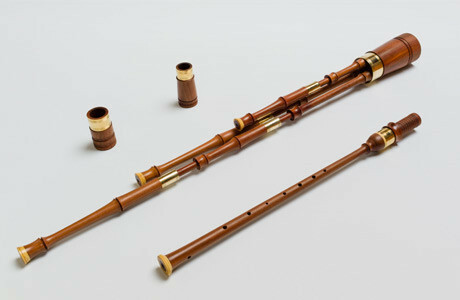 Smallpipes can be made to either bellows blown or mouth blown. For a special request, we also made a set that could be swapped between mouth blown and bellows blown. All mouth blown smallpipes are fitted with plastic reeds and compound drone reeds. This is due to the problems with moisture and heat a mouth blown instrument faces, not allowing the cane in bellows blown pipes to be used.